Eleven influential Indian-American investors feature in Forbes magazine's annual list of the 100 best venture capitalists with the ‘Midas’ touch who are making big and early bets on the leading technology companies of tomorrow and earning outsized returns for their investors. The Forbes 2015 Midas List represents the world's 100 smartest technology investors with valuations greater than $1 billion and a total of 766 deals. Jim Goetz of Sequoia Capital maintained the number 1 spot for the second year in a row due to WhatsApp, the mobile messaging company acquired by Facebook for $22 billion. He was the only institutional backer in the messaging service and "struck gold", returning more than $3 billion to Sequoia in the deal, Forbes said. 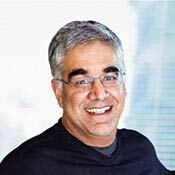 Leading the Indian-Americans on the list is 49-year old Aneel Bhusri, chief executive officer and Cofounder of Workday, a cloud-based financials and human resources software firm. Stanford business school graduate Bhusri is ranked 17th on the list and has a net worth of $1.22 billion. 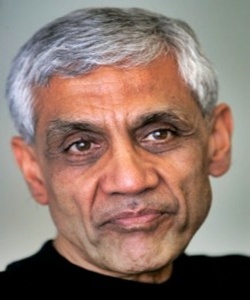 A notable exclusion from the list is Vinod Khosla, who founded Khosla Ventures in 2004. Khosla had been a regular on the Midas list till now, ranking 63rd last year. 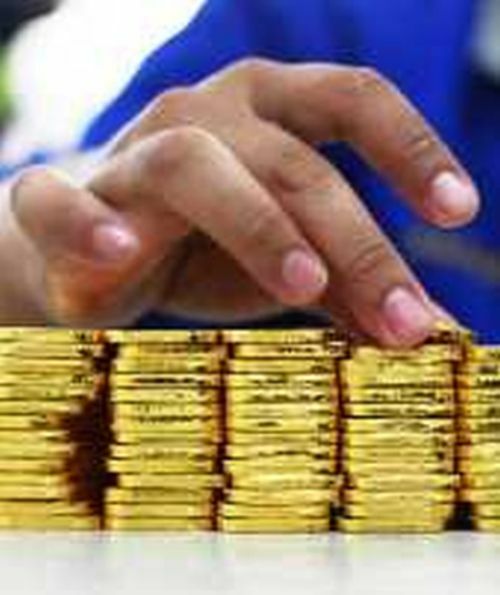 "A steady top 20 Midas lister," Forbes said Bhusri is the only venture capitalist to have cofounded and taken a multi-billion dollar company public while also working as a venture capitalist. On the 24th spot is Salil Deshpande, managing director of Bain Capital Ventures. Deshpande, 46, has had two big exits in 2014 with technology company Dropcam that was sold to Google and the IPO of peer-to-peer lending company LendingClub, both early-stage bets made while at his prior firm Bay Partners. Norwest Venture Partners senior managing partner Promod Haque comes in at the 26th rank. The 66-year old's most notable deal has been cybersecurity company FireEye, which had the second-best performing IPO in the US in 2013. His investments in more than 60 companies have produced over $40 billion in exit values. The other Indian-Americans on the list are Greylock partner Asheem Chandna (36), Accel partner Sameer Gandhi (37), Founding Partner at Wing Venture Partners Gaurav Garg (38), managing director of Mayfield Fund Navin Chaddha (42), manging director at Insight Venture Partners Deven Parekh (57), General Partner at Battery Ventures Neeraj Agrawal (58), managing director at Menlo Ventures Venky Ganesan (86) and managing director at Redpoint Ventures Satish Dharmaraj (90). Forbes said Gandhi is Accel's ‘heavy hitter’ and has led the firm's investments in e-commerce company Flipkart (valued at $15 billion) and parent company of Diapers.com Quidsi, which Amazon bought for $545 million in 2011. A serial entrepreneur turned venture capitalist, Chaddha invests in consumer, enterprise infrastructure and energy technology in the US, India and China. The IIT alumnus has invested in 40 firms in his career, of which 13 have gone public and 15 have been acquired. 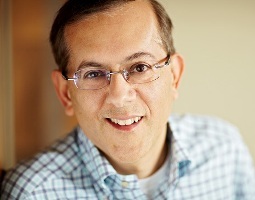 In India, his successes include investment in online travel site MakeMyTrip and Persistent Systems. Parekh has backed social networking sites Twitter, Tumblr and Flipboard and also represents his firm's interests in Chinese e-commerce giants Alibaba and JD.com. 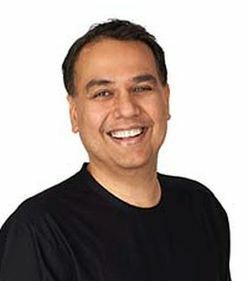 In 2012 Parekh led a $165 million equity investment in Drilling Info, an Austin-based data intelligence provider the for oil and gas industry. Parekh recently visited India with President Barack Obama as part of a business delegation. Dharmaraj is a Midas newcomer and vaults onto the list thanks to jumps in value for investments in enterprise storage company Pure Storage and social network Nextdoor. He founded Zimbra, an email software company he ran before selling it to Yahoo for $350 million in 2007.